The Wall Street Journal reports that many of Apple's competitors in the mobile advertising business, rather than seeing declines since the introduction of the iAd program, are instead seeing surges in their business as Apple's entry into the market has dramatically increased awareness of and interest in mobile advertising on the part of advertisers. Apple has "brought sexiness to mobile ads," said Carnet Williams, chief executive of San Francisco-based Sprout Inc., which helps create and deliver interactive ads. Mr. Williams said it has gotten roughly four times as many calls from publishers and agencies since Apple turned the spotlight on iAds. 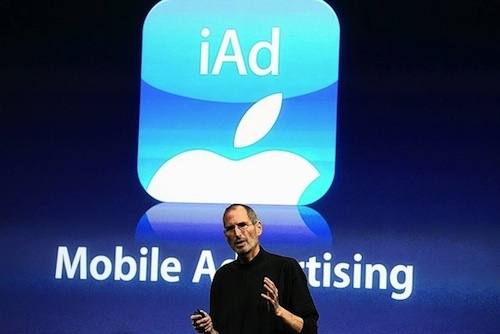 In particular, mobile advertising companies are finding significant business opportunities with companies unwilling or unable to meet Apple's reported $1 million commitment to participate in the primary iAd program or who are unsatisfied with the iAd program and Apple's demands for creative control in the process. New York-based Medialets, for one, benefited when luxury brand Chanel SA dropped plans this summer to launch an iAd. Medialets, which sells mobile ads with video and other interactive elements, stepped in and said it was able to offer Chanel the same experience as an iAd plus more. Apple is not standing still, however, as the report claims that the company is increasing iAd staff, streamlining the ad development process, and loosening some of its grip on the entire process to allow more freedom for advertisers and their partners.